A limited edition of 150 hand-numbered pieces! 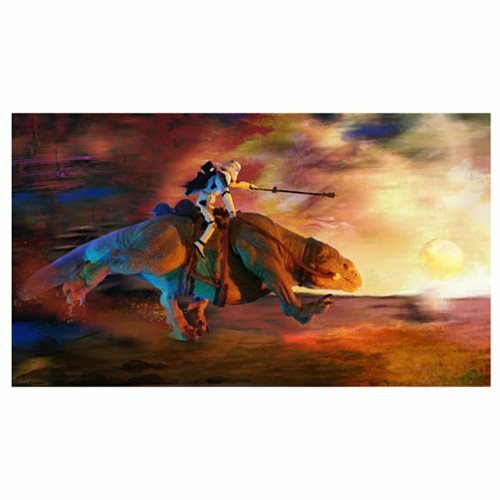 This Star Wars Sandtrooper Trailblazer Canvas Giclee Print features a Sandtrooper atop a running Dewback - the trooper pointing straight ahead to battle. Signed by the artist, Guy Vasilovich, and complete with certificate of authenticity, this beautiful piece of artwork has been printed on canvas and measures 28-inches wide x 16-inches tall! Ages 14 and up.